1 Free Week of Training & Learning from our Jiu-Jitsu Coaches. We offer 13 different Adult Classes per week! Discounted BJJ Training Uniform so you can participate in classes right away. These uniforms retail at $125 each. We will give you a uniform at our wholesale cost of $44.99! You save $80! Our Trial Program for Adults allows you to try training with us without any commitments! Training Brazilian Jiu-Jitsu at ICBJJ is Fun and Rewarding. In this busy world we must maximize our efficiency while minimizing our time spent doing things. At ICBJJ that's what we're all about. You will get in Great Shape while learning the most effective form of self-defense in the world. That's a Win-Win combination! Let us show you why we are considered one of the Best Martial Arts academies in the Midwest. 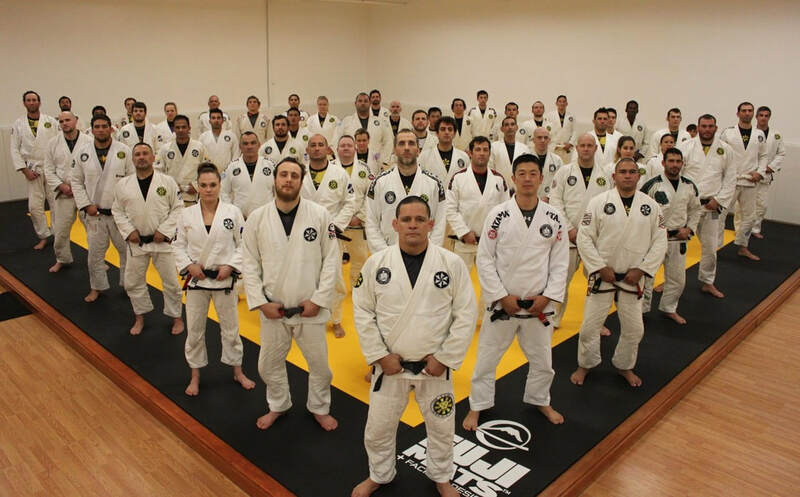 Adults of all ages and fitness levels can start training at ICBJJ. Our fundamental approach with modern concepts help the Beginner Student quickly learn Effective Jiu-Jitsu techniques that they can utilize right away! Adults with a competitive streak will enjoy learning competition strategies from our certified coaches so they can fulfill their dreams of being the next World Champion!